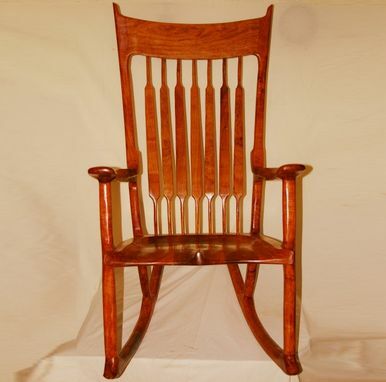 The Rocker is hand sculptured from native Texas Mesquite or Pecan. 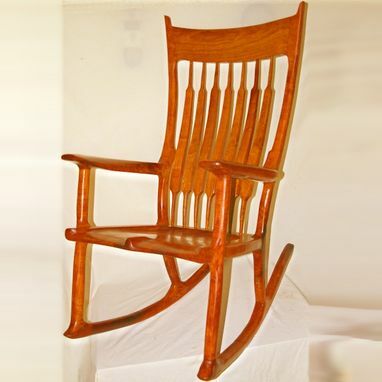 It has graceful, flowing lines that include unique curved back slatts that provide lower lumbar back support. 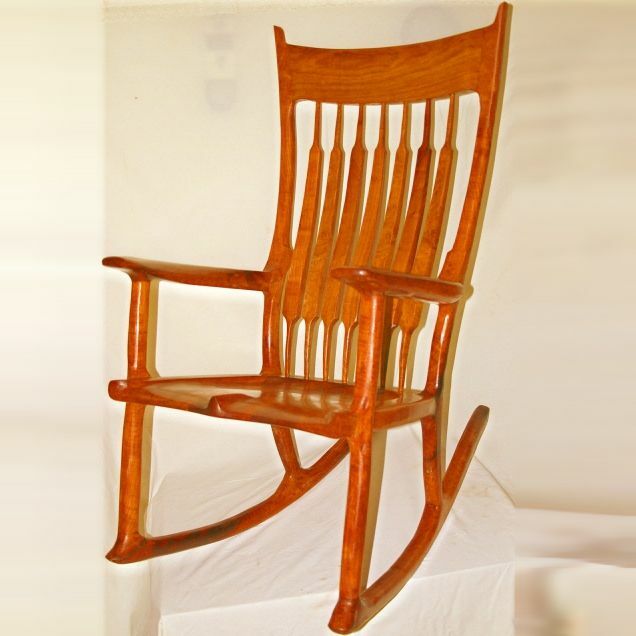 The entricated hand tooled joinery enhances both the beauty and strength of the rocker.